Ballet Chelsea sponsors and donors provide key financial support which contributes to the growth and development of Ballet Chelsea. Ballet Chelsea is a non-profit 501(c)(3) organization, donations are tax deductible. We invite you to partner with us and become one of our proud sponsors who support the performing arts in southeastern Michigan. 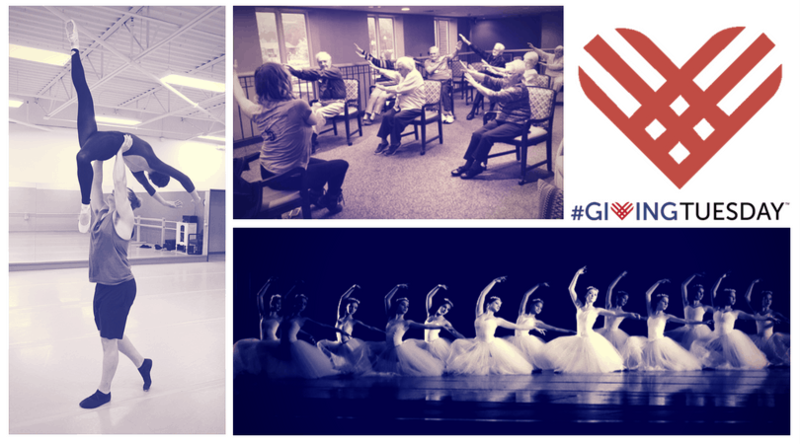 Your sponsorship will help Ballet Chelsea “raise the barre” and ensure that this vital and exciting community resource flourishes and grows. Reach Ballet Chelsea 3500+ audiences by advertising your business or organization in our annual season program. Ballet Chelsea’s season program is a high quality booklet, printed in glossy black and white; it will be used for all season performances. Ballet Chelsea also recognizes the value of goods and services that are provided in-kind. These are varied and include transportation of sets and props using large box vans, dry cleaning to keep our costumes fresh and looking good, and costume design. Each service is of the highest professional quality and allows Ballet Chelsea to enhance its own professionalism as a dance company. Ballet Chelsea’s Summer Dance Intensive (SDI) registration is now open! Three cheers for Drosselmeier, aka Donald Locker!!! Ballet Chelsea’s May 11th production of Wendi DuBois’s the Five Dancing Princesses is right around the corner! Do you have your tickets yet? It’s not too late to purchase yours today. © 2019 Ballet Chelsea. All rights reserved.